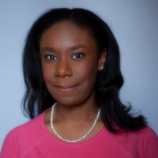 Kendra Pierre-Louis is a member of the Rural America In These Times’ Board of Editors. Kendra is a Queens, New York-based journalist. Her work has appeared in, Newsweek, Earth Island Journal and Modern Farmer. She is the author of Green Washed: Why We Can’t Buy Our Way to a Green Planet (Ig Publishing 2012). She holds a B.A. in Economics from Cornell University and an M.A. in Sustainable Development from the SIT Graduate Institute, and she has previously worked for the United Nations Environment Programme’s Convention on Biological Diversity and the Center for Biodiversity and Conservation at the American Museum of Natural History. Environmental justice reporting bridges a critical gap: the belief that environmental issues are distinct from human issues. Rather, when a town disappears due to environmental degradation, a child dies because of environmental pollution, or a farmer loses both her land and her livelihood due to rapidly shifting climate, we become intimately aware of how our lives are connected to the environment. Yet often, these stories stem from those most frequently stripped of their voice. Low-income communities and communities of color disproportionately bear the effects of our environmental pollution despite contributing least to their creation, a fact that emphasizes the need for a mechanism that enables them to be heard. Environmental justice reporting can be such a mechanism. After all, if we as a society are going to pollute, shouldn’t we all bear the burden of that decision equally? The Grouse That Roared: Will Voluntary Conservation Efforts Work in the Intermountain West?